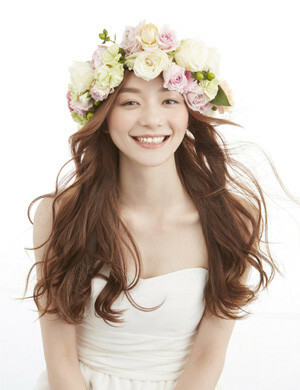 Brilliant in Flowers , Bride hair style Tips : Happy Aging & Beautiful Anti Aging loving. Early summer flowers bloom season , Wedding season is coming. Recently, garden wedding and resort wedding , such as a house wedding , are many wedding atmosphere to enjoy a sense of unity with the guest in casual.